The story of Clifton Nurseries began in 1851 with the development of the houses along Clifton Villas. The lease passed from the Brown family to the Krupp family in 1880 where it remained for the next 64 years. In 1944 Sydney Cohen purchased the lease for the site, created the nursery as we know it today, and built up the Clifton Nurseries company further by founding a successful associated Landscape division in the mid 50s. Ownership of Clifton Nurseries passed to Lord Jacob Rothschild in 1979 who transformed the business, including the construction of stunning new buildings and glasshouses. The reputation of Clifton Nurseries spread with numerous Chelsea medals over the decades. A new chapter in the history of Clifton Nurseries began in the 21st century with new owners and directors. Safe in their hands, and with the addition of another nursery in Surrey, the future is looking bright and the Clifton Nurseries story continues! The Clifton story began as far back as 1851 with the construction of the Clifton Villas houses surrounding "an ornamental garden and nursery ground". 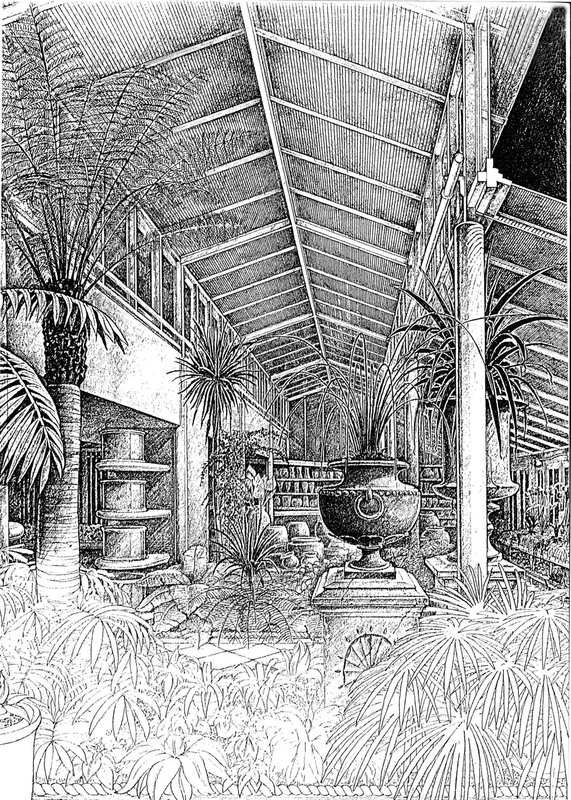 In 1880 the lease passed to Johannes Adam Krupp who started a thriving nursery business based from greenhouses and the "largest Palm House in London, bar Kew". His son Frederik took over the business in 1937 before deciding to sell up. The enterprising Sydney Cohen bought the lease in 1944 and successfully built up the business, increasing the product range as seen in the old catalogues from 1947, now in our company archives. Under Mr Cohen’s able direction, Clifton Nurseries went from strength to strength – and in the mid 50s a successful Landscape division was founded. The influence of Clifton spread until the sudden demise of Mr Cohen in 1975 when the business was up for sale again. In 1979 Lord Jacob Rothschild added Clifton Nurseries to his horticultural portfolio with ambitious plans. In 1986 a beautiful and award-winning shop was designed and built by Jeremy Dixon, followed a few years later by a spectacular new Palm House. The Managing Director, Mr Miller, further improved the name and reputation of Clifton Nurseries with multiple Chelsea Gold medals and by working with the likes of HRH The Prince of Wales, Cartier, Christies and Harpers & Queen. Ted Paulchowski took over as Managing Director in 2003, overseeing the modernisation and development of Clifton, with this role passing to Matthew Wilson in 2011. With the 21st century came changes of Managing Director and ownership for Clifton Nurseries; firstly to Gavin Jones Ltd in 2016 and then to new independent owners and directors in 2017. Now with two branches, Clifton London and Clifton Surrey (previously known as The Plantation), Clifton Nurseries continues to thrive, develop and prosper with its own unique style.